jeff in jugment 日. judgment 日 affiche. HD Wallpaper and background images in the Jeff Hardy club tagged: jeff hardy wwe wrestler the enigma smackdown raw wrestling judgmentday. 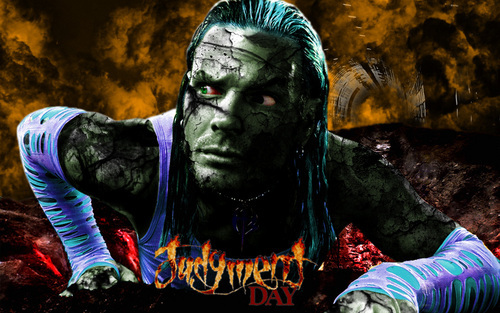 This Jeff Hardy wallpaper might contain アニメ, 漫画, マンガ, and コミック. Wasn't this the picture from the February issue of WWE Magazine?